Samsung Mobile Philippines has just announced the latest phone in their J series. 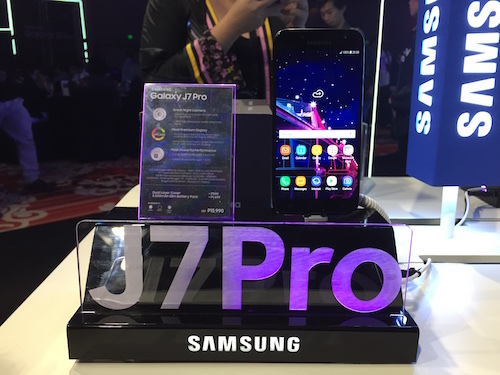 The Samsung Galaxy J7 Pro takes over the reigns of its sibling, the J7 Prime as the best phone to have in their lineup. The specs of the J7 Pro are mostly similar with the J7 Prime but with some upgrades, such as a much better Super AMOLED screen display, a bigger battery capacity at 3,600 mAh, and the latest Android 7.0 Nougat OS. The main upgrade Samsung made here are for the cameras. While it still retains its 13 Megapixel camera, its aperture was adjusted to f/1.7. This means the J7 Pro is very capable of taking night photos clearly without the aid of flash photography. All you need to do is open the camera app and swipe the screen to turn it to Night Mode then shoot. Its front camera was also upgraded from 8 Megapixels to 13 Megapixels. Users can still take selfies at low light conditions thanks to its f/1.9 aperture. 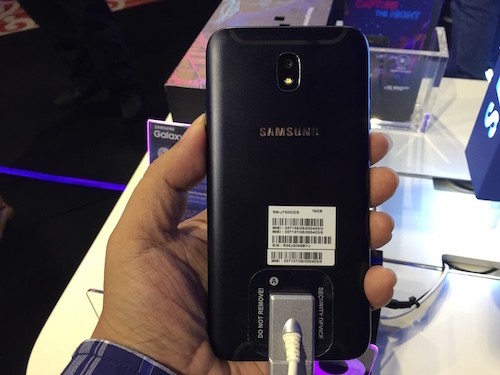 The Samsung Galaxy J7 Pro Price is P15,990. With these specs and price, and the dealers participating in this launch event, I smell that Samsung is going to attempt to take a bigger pie of the mid-range segment. OPPO reported that their F3 is dominating the mid-range segment at 48.5% for the month of May 2017. 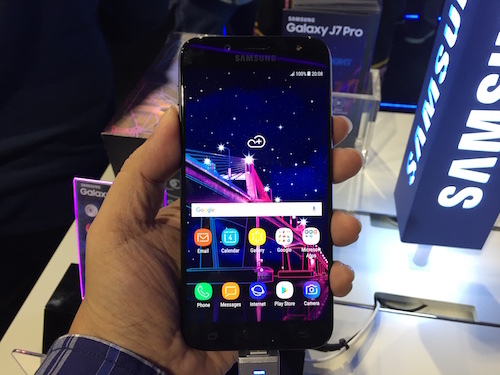 Whether the GFK reports are accurate or not, I reckon Samsung will work hard to get more sales in the P15,000-P20,000 segment with the sales of the Samsung Galaxy J7 Pro.